Here are a few authentic vintage haircuts from this decade we are all so fond of. Just click on the image to enlarge. The originals were copyrighted material so I just made sketches of them for everybody. Just keep in mind the length shown at the nape of the neck is for the majority of the head. 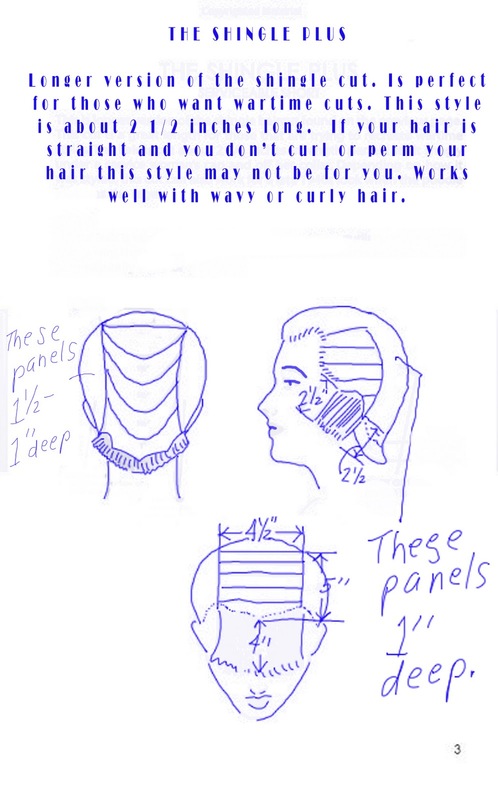 The length of the bangs and the sides of the head will vary. Your blog is so cool!!! I must make time to read it later! 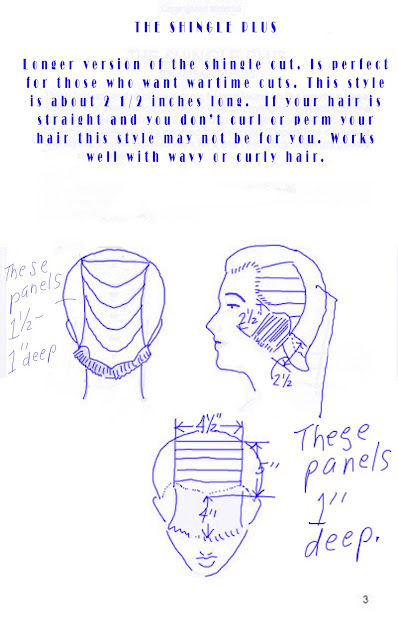 I realize that this post is nearing a year old, but I am looking to get my hair cut and have been trying to find a clear diagram of the Femme Fatale. 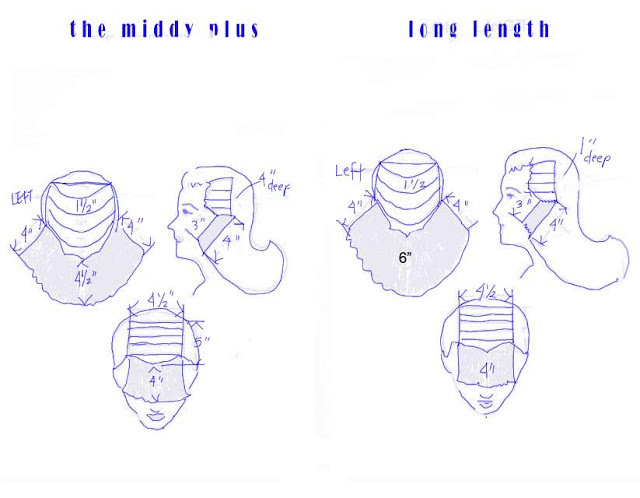 I noticed the measurement for the length at the middle back of that haircut (long length) is not shown. 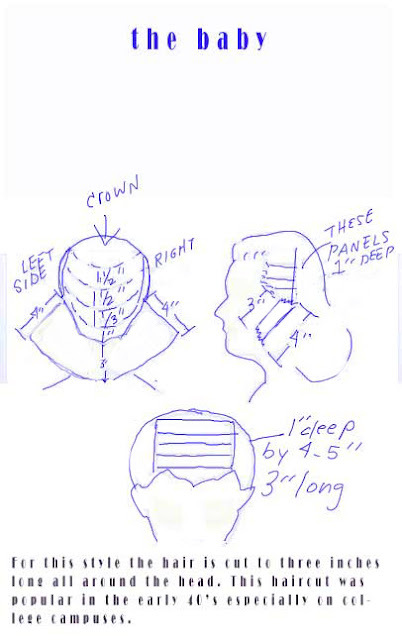 The other (quite blurry) diagram of this haircut I have seen shows 6 inches but I was wondering if there was a reason you did not include it? I didn't want to infringe upon images copyright that I didn't have the rights to reprint so I had to do my own version of them. 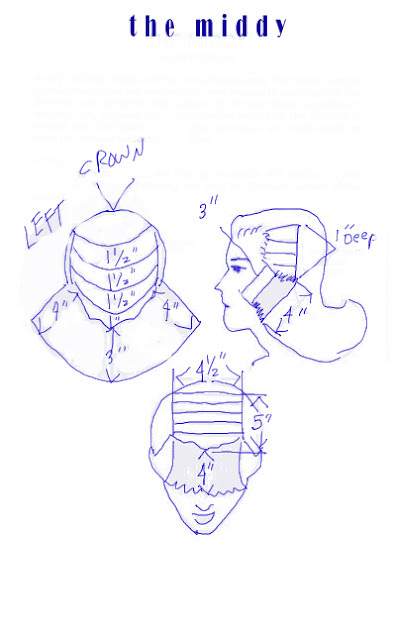 I must have left out the measurements you are inquiring about.